This is a small but popular campground and lake just north of the South Twin Resort. 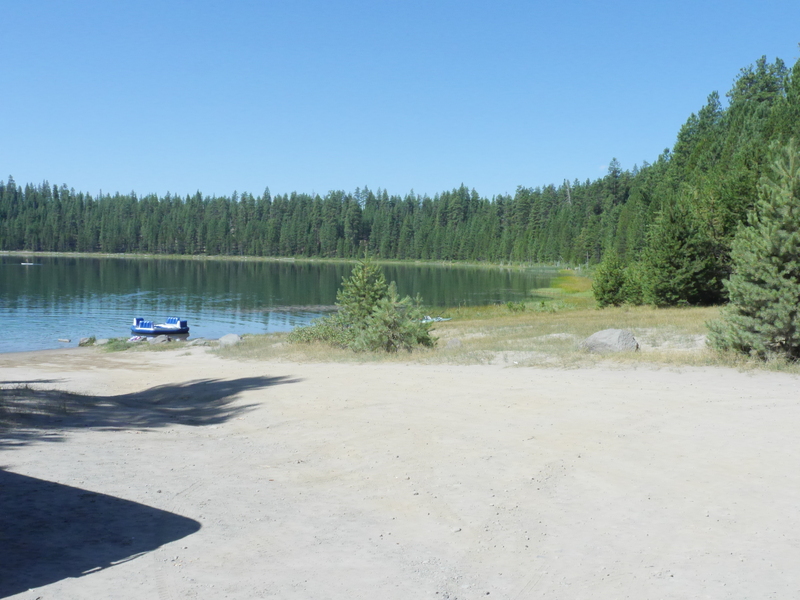 Located next to North Twin Lake, this site offers opportunities for fishing in the summer as well as the winter. There is also a little beach at the shallow end of the lake that is great for wading and swimming. There’s an interpretive trail leaving the campground near the water that informs visitors about “dwarf mistletoe” infecting the ponderosa pine trees in the area. There is a boat launch area within this campground.Water levels vary little over the season and the lake is rich with weed beds. Fees Per night, per site fee: $14/first vehicle; $7/each additional vehicle. Restrictions: Maximum site spur length is 30 feet. Restroom: Vault Toilet Not my favorite, and heavily used!!! General Information : Motorized boats are prohibited on this body of water. From Bend, OR: Travel 26.8 miles south on Highway 97 to Wickiup Junction, then 11.0 miles west on County Road 43, then continue 4.6 miles west on County Road 42, and finally 0.2 miles south on County Road 4260.